Zilliqa (ZIL) is a cryptocurrency token generated on the Ethereum blockchain. The total supply of Zilliqa that will ever be issued is 12.53 Billion tokens, and the current supply of ZIL in circulation is 8.69 Billion tokens. Current Zilliqa price is $ 0.0189 moved up to 2.26% for the last 24 hours. All time high (ATH) price of Zilliqa reached $ 0.230 on 10th May 2018 and fallen -91.8% from it. Zilliqa's share of the entire cryptocurrency market is 0.09% with the market capitalization of $ 163.86 Million. Zilliqa’s 24 trading volume is $ 12.11 Million. It is trading on 54 markets and 26 Exchanges . Find more details about Zilliqa cryptocurrency at the official website and on the block explorer. 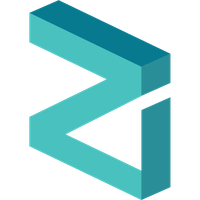 Zilliqa price Index provides the latest ZIL price in US Dollars, BTC and ETH using an average from the world's leading crypto exchanges. The Zilliqa to USD chart is designed for users to instantly see the changes that occur on the market and predicts what will come next. Zilliqa is a new public blockchain platform for high-throughput applications. It brings the theory of sharding to practice with its novel protocol that increases transaction rates as its network expands. The latest experimental results demonstrate a throughput of more than 2,400 transactions per second, which is over 200 times higher than that of today's popular blockchains. The platform is tailored towards enabling high-throughput data-driven decentralized apps, designed to meet the scaling requirements of applications in areas such as digital marketing, payment, shared economy and rights management.